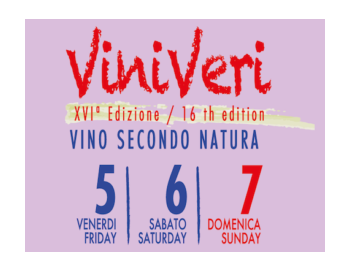 ViniVeri takes place at AreaExp – via Libertà 57, Cerea (Verona) from Friday 5th to Sunday 7th April. The event hosts wine craftsman from various parts of Europe. Visitors can then taste hundreds of wines that are part of the ViniVeri consortium. There will also be dinners organised by celebrity chefs. Opening hours from 10 am to 6 pm.